Rugby League or Rugby Union, which ever game you follow and barrack for, Australia has embraced their teams with passion. The whole Australian nation comes together as one when the Wallabies are playing in the Rugby World Cup with quite a few supporters following them overseas to watch them compete against England, South Africa and other nations. Rugby League football is played in Australia's eastern seaboard. The State of Origin Games is famous for dividing NSW & Qld allegiance. 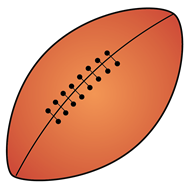 The teams playing Rugby League have dedicated supporters that follow the Brisbane Broncos, the Bulldogs, Cronulla Sharks, St George, the Sydney Roosters, the Warriors ,the Newcastle Knight week after week during the NRL season. Australian Football League on the other hand has several teams spread all over Australia and most popular in Victoria. All the different supporters of these games will wear their teams' colours, jumpers, scarves all to identify themselves as one with the team. We at SSA provide the best and suitable uniforms, whether you are part of the team or a supporter of your team. Good quality and lasting products are what we provide our customers. At SSA, our custom made shirts can be worn while at play and after play to represent your sport with pride!